The Anderson School of Management is now the new home for the Parker Center for Family Business (PCFB). In a unanimous vote, the UNM Board of Regents approved bringing the PCFB under the leadership of the business school. Click below to read more and, additionally, please visit the articles in The Albuquerque Journal and Albuquerque Business First for more information. The PCFB was formed as a 501(c)(3) in 2005 as the New Mexico Family Business Alliance. Its goal was to provide New Mexico family businesses with knowledge about family-run and closely-held businesses and to address issues unique to these firms. 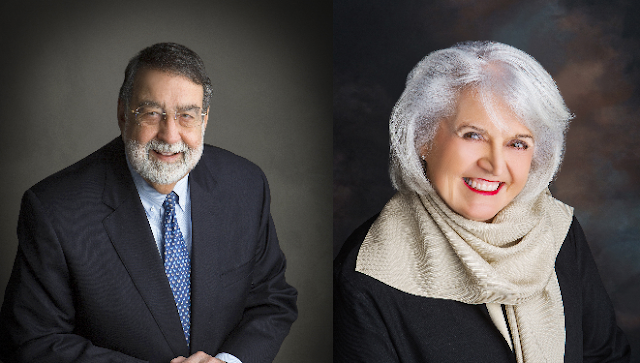 In late December 2013, Linda H. and James M. Parker pledged $125,000 to the UNM Anderson School to move the program and rename it the Parker Center for Family Business. Linda is on the Anderson School’s Foundation Board of Directors and is the president and owner of Cafeteria Plan Company, a family operated financial services firm in Albuquerque. Jim is an attorney with Modrall Sperling Law Firm with more than 40 years of experience in federal taxation, estate planning, employee benefits, and business law. The PCFB will continue to be run by a volunteer Board of Directors made up of Directors from across the state representing many lines of business and will maintain its own 501(c)(3) under this new name. The PCFB has set up a Quasi Endowment with the UNM Foundation. In addition to their gift, Linda and Jim Parker have committed to raise an additional $125,000 for this effort. The PCFB will inspire Anderson and UNM students to start their own businesses knowing that help will be available. Interim Dean Craig White says when second and third generation managers take over the family business, they often face more complex issues than their parents once did. The PCFB will bring in nationally recognized, expert speakers in all areas of family business through symposiums and dinners open to its members and the business community as a whole. The PCFB also serves as a roundtable for participants to share experiences through quarterly breakfast meetings and Continuing Education Certificate Programs will be available to PCFB members through Anderson’s Executive and Professional Education Center for a fee.